Description: A true Japanese ebonite fountain pen with urushi lacquer finishing and a bunch of nib options. Measurements: 6.14″ closed, 5.20″ uncapped, including nib. Does not post. Although they’re new to me, Wancher has been in existence since the late 1980’s. They are a Japanese company that specializes in writing instruments, especially fountain pens. They set out to make the “Dream Pen” – a pen that suits a wide range of people that incorporates traditional Japanese techniques and materials. The result? 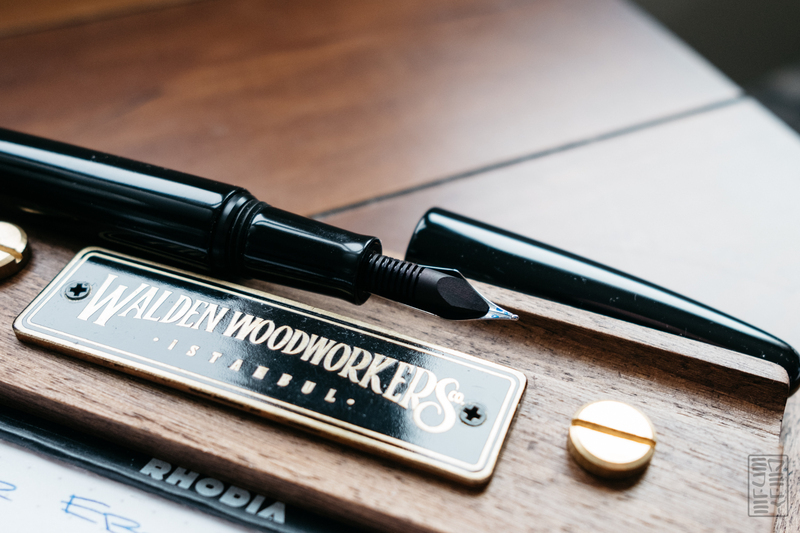 A cigar-shaped pen crafted from Japanese ebonite coated with urushi lacquer, and featuring a custom ebonite feed. 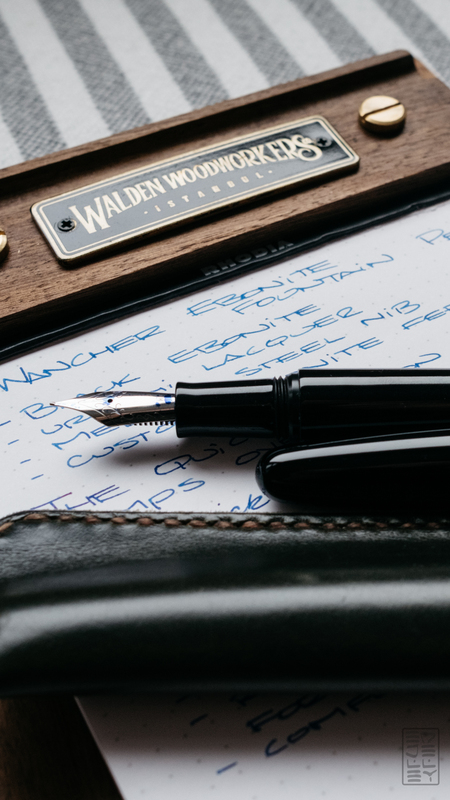 Wancher sent me over the black urushi version with a stainless steel nib to review. Their Kickstarter project is live now, so you can head over there to pick one up! 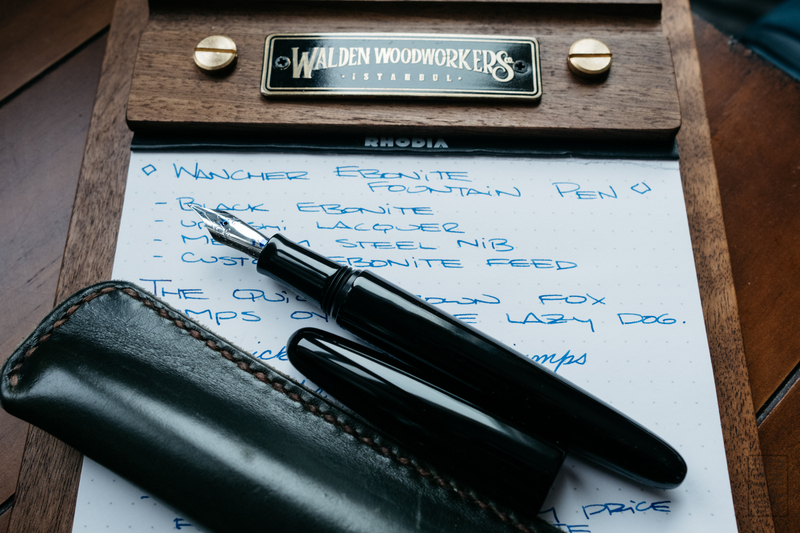 Of course, read on to see how this newcomer to the world of ebonite/urushi pens holds up. Urushi is a natural material that is harvested from the Toxicodendron vernicifluum, aka the “Chinese Lacquer Tree”. The process of urushi lacquer coating dates back to somewhere around 9000 ago. 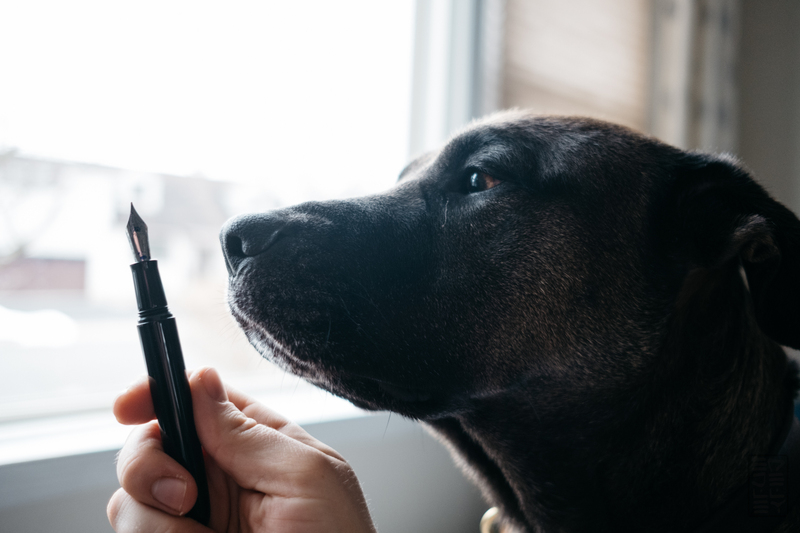 Once the lacquer is painstakingly harvested from the tree and refined into a usable material, it’s carefully painted onto the surface of the pen. Each layer has to cure before the next can be applied. It’s a long process that can take several months just to achieve the finish on a single pen. The result is a smooth, protective finish that feels unlike anything else out there. Check out the wikipedia page for more information. The Dream Pen came to me securely wrapped in bubble wrap, but that’s not even close to how the Kickstarter pens will be shipping. They’re going to come in a traditional Japanese wooden box with a silk pen kimono. The packaging sounds similar to how my Nakaya came. I can’t comment on the quality of the wooden box or kimono, but if the attention to detail, fit, and finish is anything like that seen on the pen, they should be good. Now onto the pen. If you’ve never seen urushi lacquer in person before, it’s hard to describe. I’ve done my best to show it off in the photos, but nothing quite does it like seeing the pen in person. The shine, depth (not so much on the black model, but it can probably be seen better on the tamenuri model), and smoothness of urushi are unparalleled by any other finishing technique. 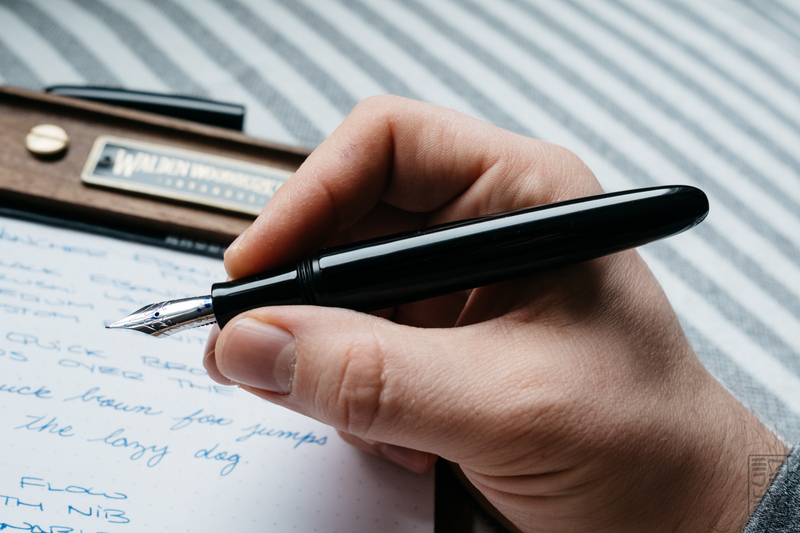 In my opinion, a urushi pen looks and feels better than a polished acrylic pen, and even the most precious of resins (I’m looking at you Montblanc…). The quality of the urushi on the Wancher is comparable to that on my Nakaya. It’s smooth, even, shiny, and just all around perfect looking. The pen is a classic rounded cigar shape without a clip. The cap is a little wider than the body, so there’s some visual separation between the body and the cap. 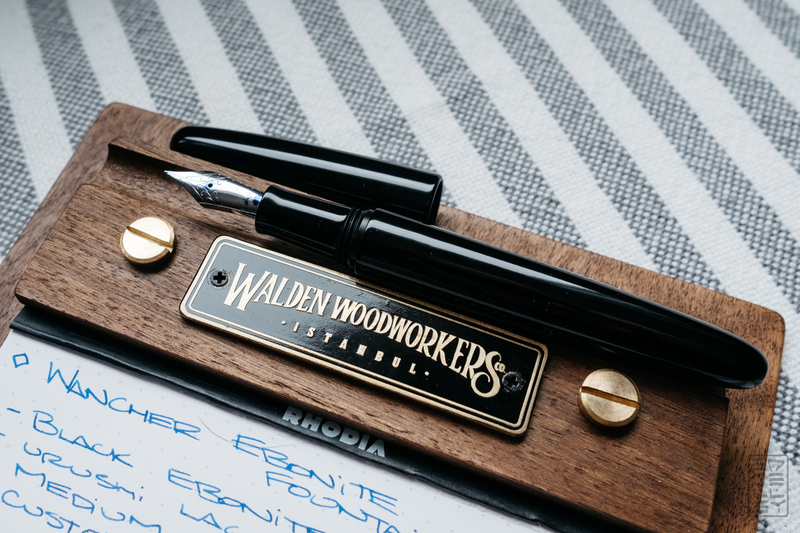 The black version is relatively simple to look at, especially with the stainless steel nib. The grip section (also finished with urushi) should be long enough for most people without getting inky fingers. There is a pretty sizable step between the grip and the body, but the threads are relatively unobtrusive. My writing grip is pretty traditional, so they don’t get in the way for me. I know some people choke up on their pens a bit, so keep that in mind when ordering. Wancher opted to source their nibs from Jowo. 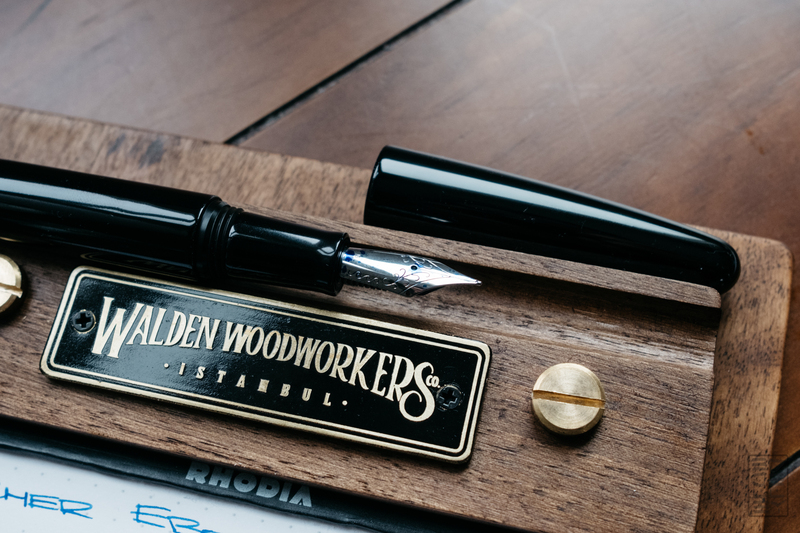 The model I got came with a medium stainless steel nib, sitting atop an ebonite feed. They enlisted help from Flex Nib Factory in the US to source the ebonite feeds. I do believe they make a difference, because this pen writes SO smooth. 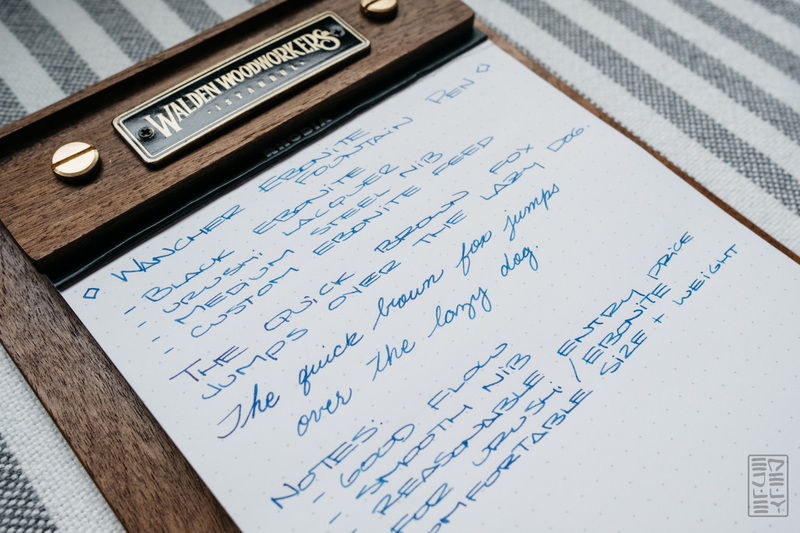 The flow is very consistent and feeds a medium-wet stream of ink to the nib. I’m not sure if they tuned it at the factory or not, but the stainless steel nibs is definitely one of the smoothest that I’ve used. I have a hunch that it’s because of the flow. 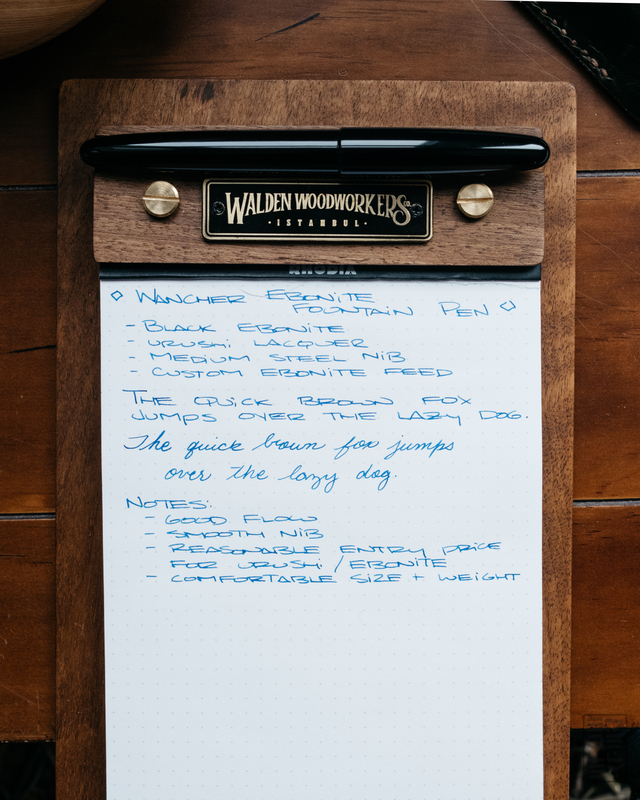 I believe that the ebonite feed does make a difference in the overall writing experience. The Dream Pen fills via cartridge/coverter. I’m okay with it. They’re the standard international size. Most Japanese pens tend to use the C/C system, which does have some benefits. They might not hold the most ink, be the most pretty, or the most technically advanced, but they are reliable, easy to clean, and replaceable should something go wrong. 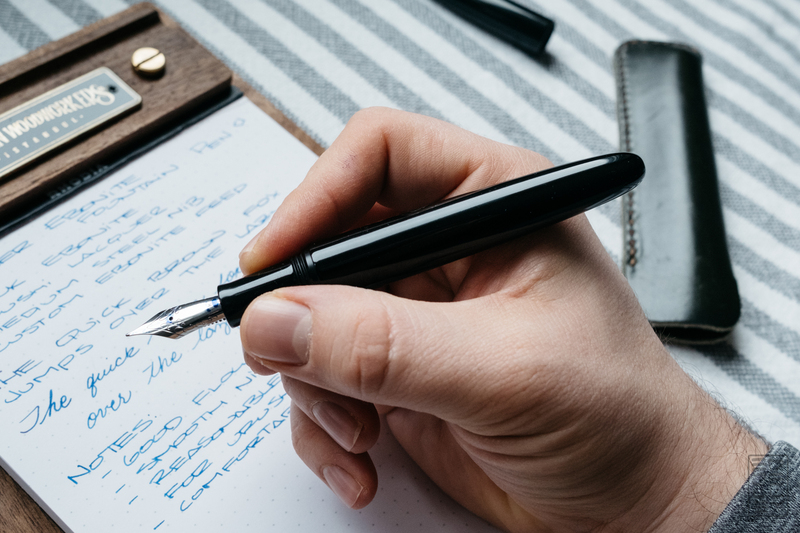 The pen is on the thicker side, but the warmth and smoothness of the urushi coupled with the relatively light 22g weight (this is overall weight, the pen is lighter without the cap) make for a comfortable pen that disappears into your hand. I’ve said it before, and I’ll say it again…urushi is one of the nicest feeling materials that can be applied to a pen. It’s glass-like in terms of smoothness. The ebonite base material has an organic, almost natural feel to it. It’s not cold like metal (even though I do love a good metal pen), and it’s not cheap feeling like plastics can be. The quality of Wancher’s urushi finish is great, it holds up to the other urushi pens I’ve seen and the Nakaya that I own. The small details on the pen like the threads, are cut with precision. It might sound mildly crazy, but one of my favorite things about an ebonite pen is unscrewing and screwing in the cap. There’s something very ASMR about the sound and feel of ebonite threads that just make me happy. I have to admit, Wancher pens weren’t really on my radar before. They definitely are now. I think the pen that they’ve released is an excellent example of a urushi pen that’s well made, comfortable to write with, and beautiful to look at and hold. 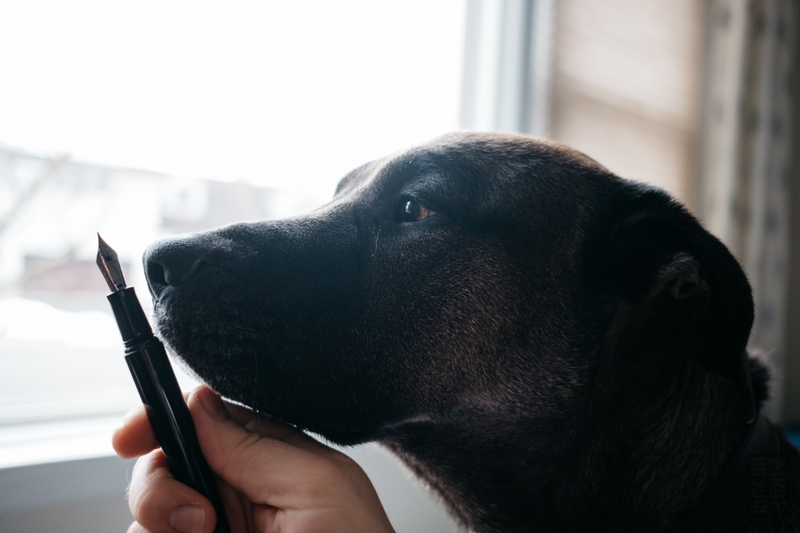 The Dream Pen from Wancher launches on Kickstarter on January 25th, 2018. I think it’s worth discussing the pricing. I think for what it is, the pen is very reasonable. A similar Nakaya urushi pen starts around $700 and goes up from there. 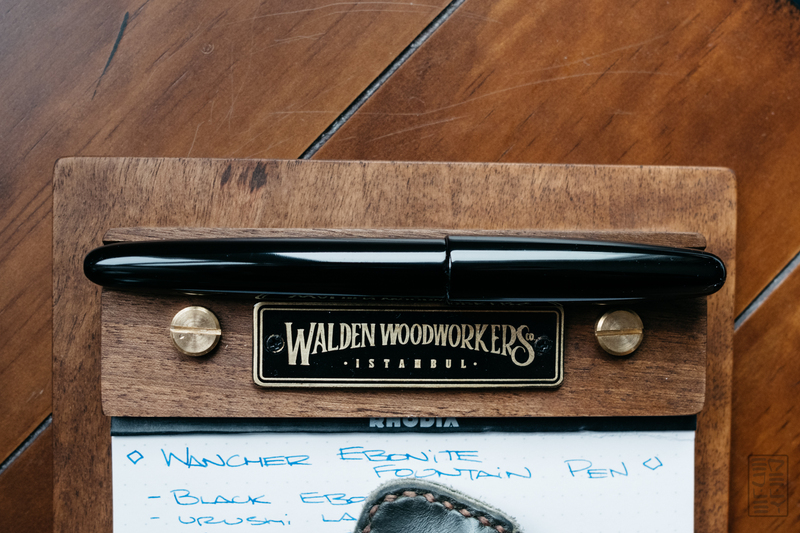 The Wancher pen starts at $175 for the ebonite version with steel nib (Super Early Bird). 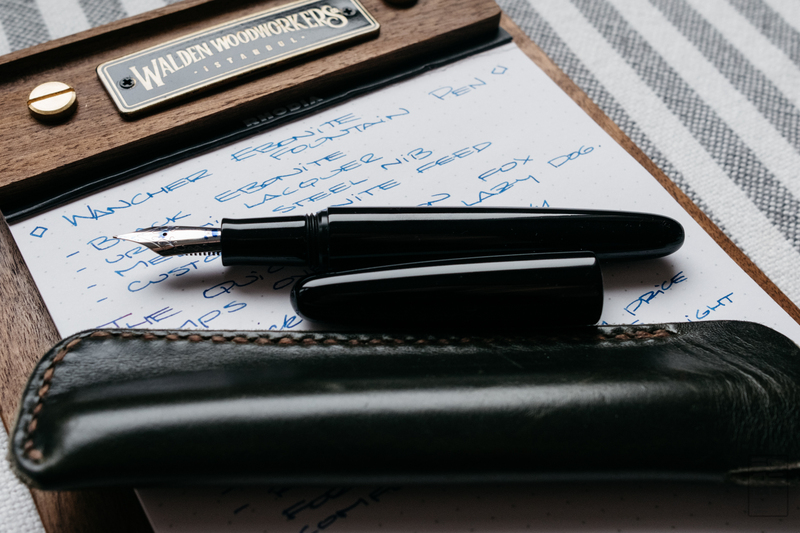 The urushi versions start at $350 with a 14k or 18k steel nib. For a urushi pen with a custom feed and a gold nib, I think this is a pretty fantastic deal. It’s not a cheap pen, but it’s an excellent entry into the world of traditional Japanese urushi pens. Since this is a Kickstarter project, there are some risks involved, but I believe that Wancher should be able to handle it, given their history as an established company and the quality of the prototypes. These prices are limited, so you’ll want to head over to the Kickstarter as soon as possible to get in on the early price breaks. Thanks again to Wancher for sending over the pen to check out! P.S. 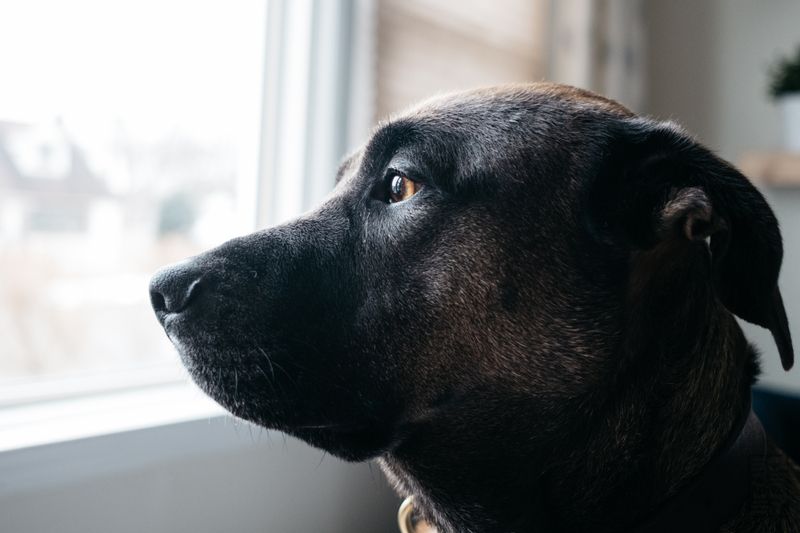 The dog would NOT leave me alone while I was taking the photos. She clearly wanted to be a part of this review, so I gave in. Unfortunately, the pens are not available for purchase right now.  The Kickstarter campaign is to raise funds to manufacture the pens. If you head over to the linked Kickstarter page, you can read more about the process. 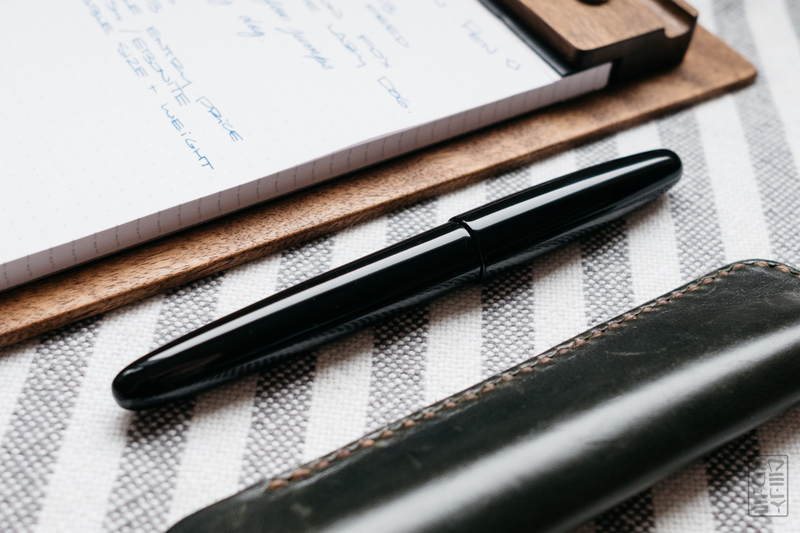 Hi there, I like the leather pen case you have shown in those nice pictures that goes so well with the black Urushi. May I know what pen case you got there? Thank you. Thank you! 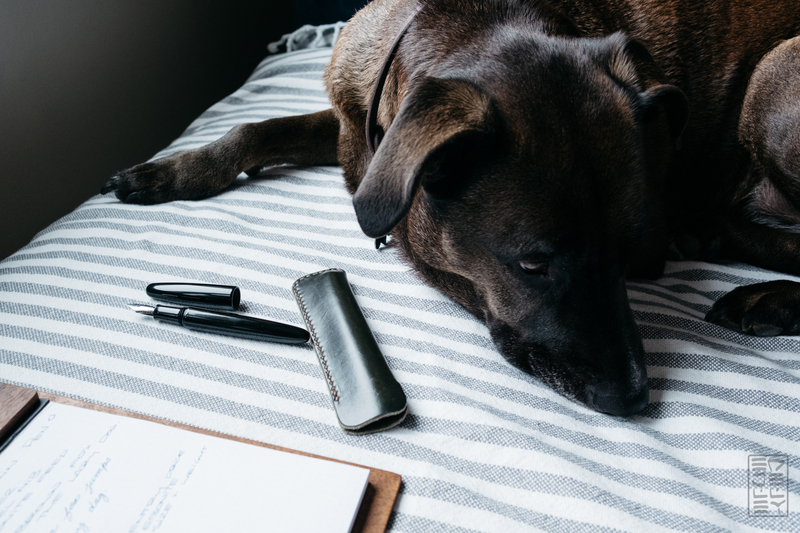 The pen case is from One Start Leather Goods. If you plug that into the site’s search, you’ll find some reviews. They can be purchased at https://onestarleathergoods.patternbyetsy.com as well.